One of our boys read an article outloud to the family this morning about cow gestation and how to tell impending labor. It was quite informational and much more interesting than an A Beka reader. Then we went outside to check on her. No baby yet, although, she is definitely showing signs. We are anxiously awaiting. 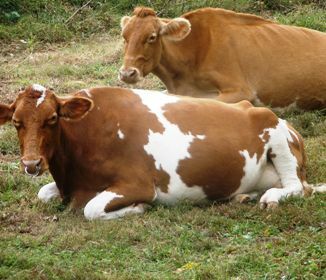 Usually if they give birth before the due date it is often a heifer and giving birth after the due date is often a bull. Hmm…we were really hoping for a heifer….it’s not looking like that as she is overdue.